The de Torre Family live in Changning District, very close to the Former French Concession. What do they think of the area? My name is Sara de Torre and our family is half Italian, half Spanish. I was born in Bilbao, Basque Country, Spain and my husband, Davide, is Italian. We have two children; Mikel, who is 8 years old and in year 3 and Miren, who is almost 5. She is in Reception. Where do you live and how did you choose? We live in Chateau Pinnacle Compound, Belgravia Place, it is located in Changning District but the Former French Concession is across the street. We decided to live here because it is really close to my husband’s office and because the metro station, Jiaotong University, is only 300m round the corner. What do you like about the Huacao area? Even if it is quite far from downtown, it is family friendly and has all kinds of services a family would need. There are a lot of places to play outdoors and indoors, supermarkets nearby and a brand new shopping mall in walking distance from the school and compounds in the area. What do you like to do on the weekends with your children? 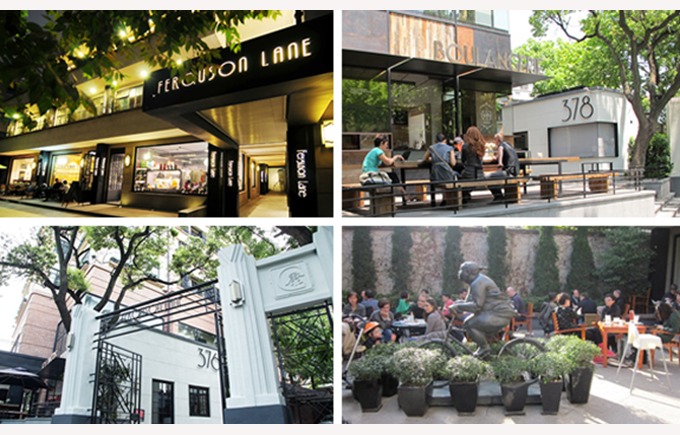 We love walking around Jing An and the Former French Concession, especially Anfu Road and its neighbouring streets. We love trying out new restaurants and exploring the area we live in and around Shanghai. Sometimes we go to Fuxing park to play ball or we visit museums or animal-related spaces like the Shanghai Ocean Aquarium, we’ve been there several times, Hongqiao Zoo or the Natural Wild Insect Museum..
What’s your favourite restaurant and thing to do in Shanghai? My husband and I have date night every Friday evening. Most of the time we go walking to Ferguson Lane (on Wukang Road) and chose one of the several restaurants there, then we buy some DVDs for the kids or our way back home. We also love Garlic, a Turkish restaurant, nice place and one of the best value for money restaurants in Shanghai. In the summer we like to enjoy the views in The Bund area and Pudong skylines from the outdoor terraces of restaurants and hotels around The Bund. What’s your children’s favourite restaurant and activity in Shanghai? The children love eating pizza at Seve Restaurant, on Huashan Road, and visiting the Apple Store on Huaihai Road. Near school they love climbing at Hani Sports. Metro, Carrefour and the wet market for food. Pu’an Road Children’s market, Old Navy and Gap for clothes. I must say that my next step is to buy through yihaodian.com and Taobao.